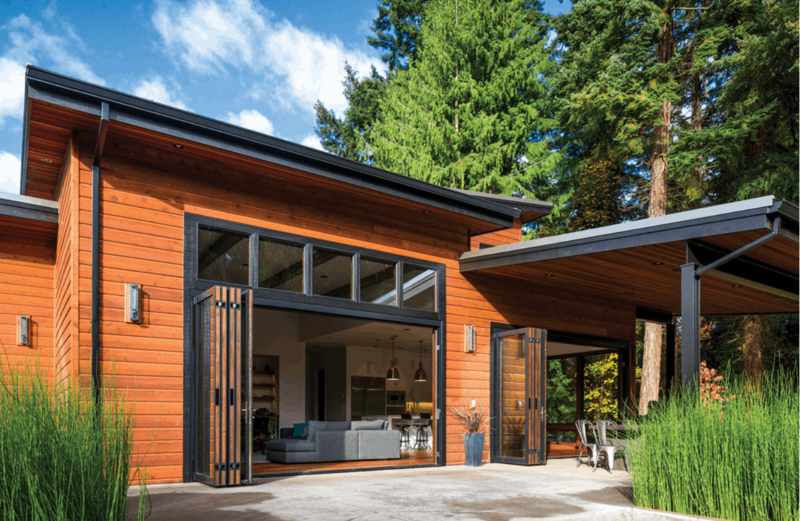 Centor offers the world’s first integrated folding doors that will let you enjoy more Muskoka at your cottage. Centor – Because Muskoka is Beautiful. 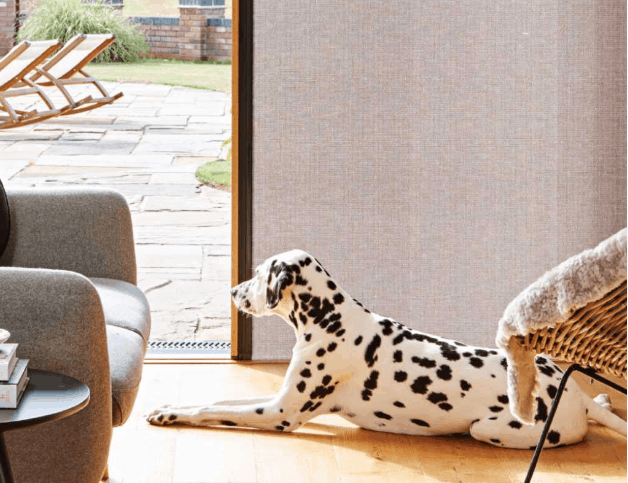 Centor removes the barrier between inside and outside, while still offering protection from pests and privacy with a selection of screens that recess into wall pockets. 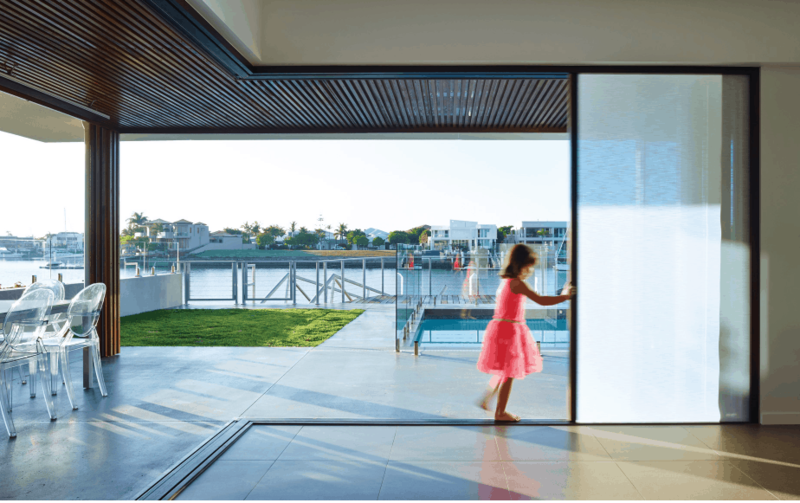 Centor’s engineering ensures safety and security when the door is closed, as well as the full protection from the elements you would expect from any other window or door. While Centor Integrated Doors can be installed in three-season homes, they offer year-round protection. Each Centor Integrated Door system is custom-measured and engineered for your specific application. Let the beauty of Muskoka’s natural outside in – because the world may be beautiful, but Muskoka is a little more beautiful than everywhere else. 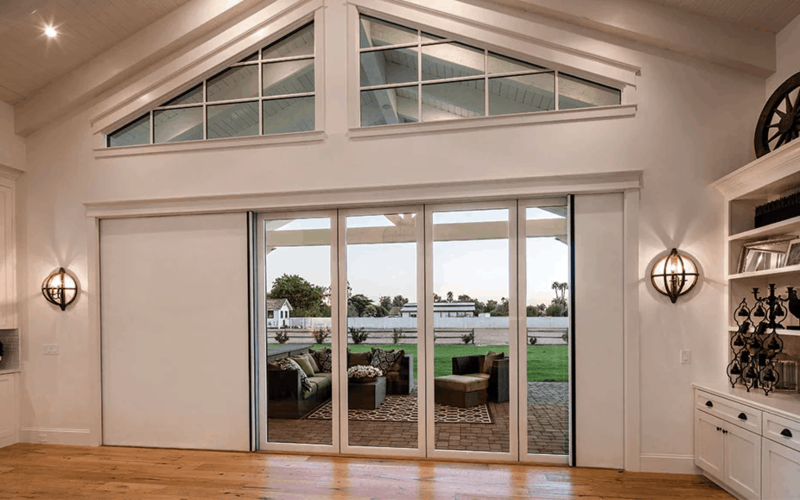 The integrated folding door can be customized to fit a wide array of openings up to 30’ 2 ¾” (9214mm) wide*. Centor doors are typically installed in the place of a former wall or bank of old windows. 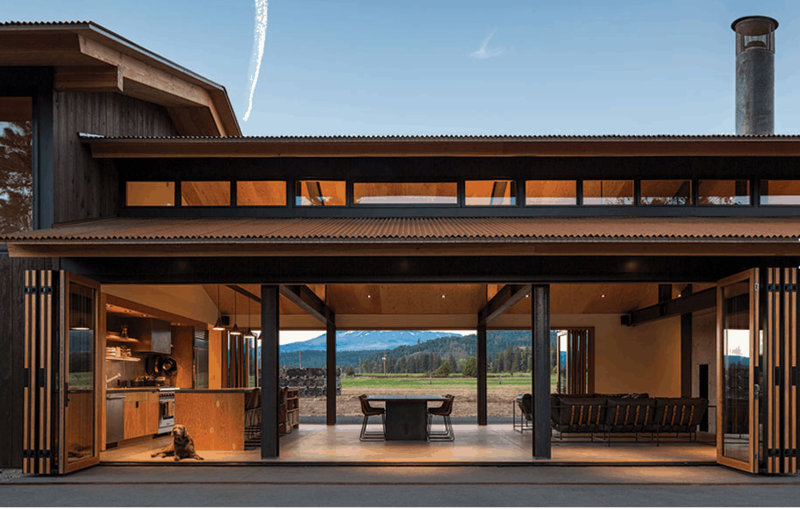 Slim, natural wood interiors complement your decor with a contemporary feel, while the durable aluminum exterior ensures four-season protection. 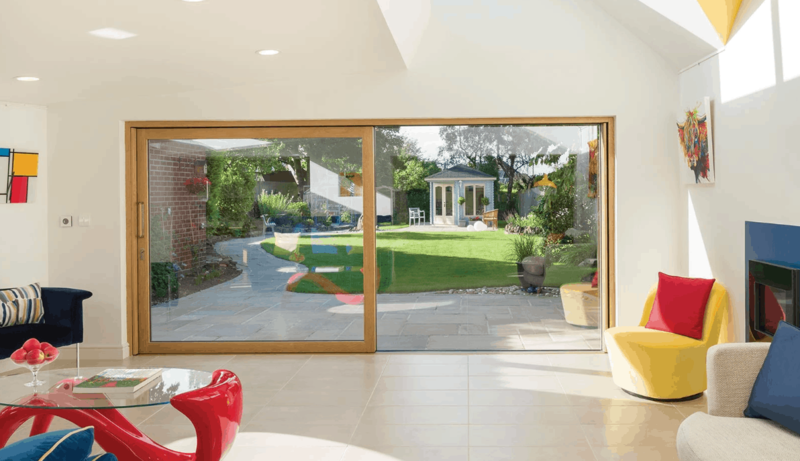 Choose from double or triple-glazed glass for outstanding thermal efficiency. **Folding doors over 15’ 3 ⅜” (4657mm) available with the choice of either a screen or shade. Soften the edge of a room by opening it up to the outside. 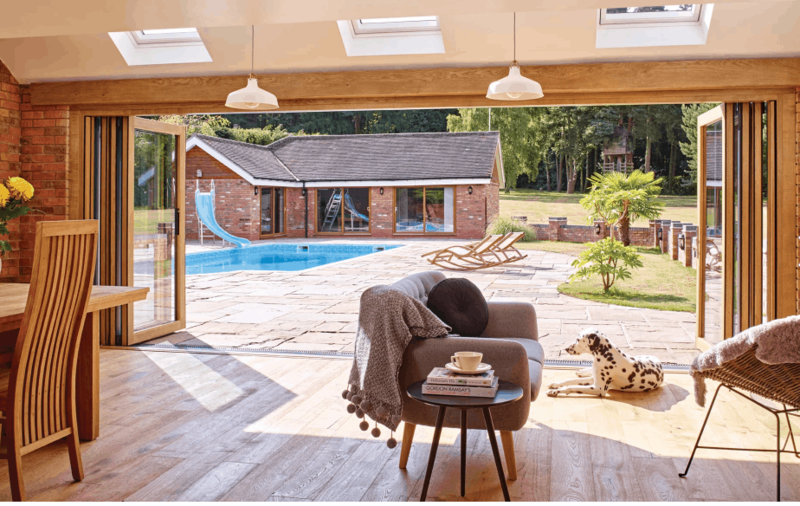 The cornerless integrated folding door offers all the features of the Centor integrated folding door, only with the ability to be installed in the corner of a room instead of one flat panel. The cornerless door can be installed in a space up to 15′ 8 3⁄8″, including the corner. A wide array of screen options await your selection. Pest screens, blackout screens, and white screens are all possibilities with your Centor door system. Keep the black flies out and enjoy your privacy, all while getting fresh air inside. Secure your Centor door system with a quick flick of the magnetic Autolatch. The concealed hinge ensures your door panels look just as beautiful and contemporary when they are open as when they are closed. 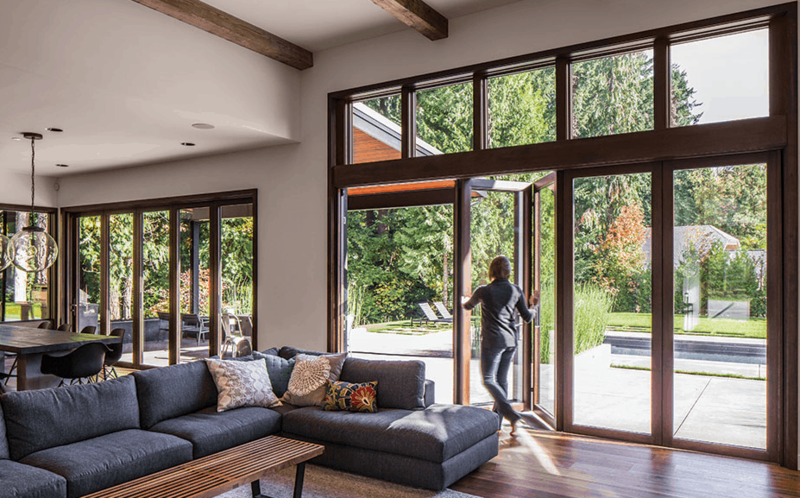 Get an elegant, larger look at the great Muskoka outdoors with Centor’s XO Sliding Door. With a contemporary, slim wood interior and aluminum exterior, the XO Sliding Door enhances your view of nature rather than obstructing it. The easy gliding operation and a sliding track that is nearly flush with the floor make this door whisper quiet to operate and eliminates “ouches” on bare feet running outside to the lake. 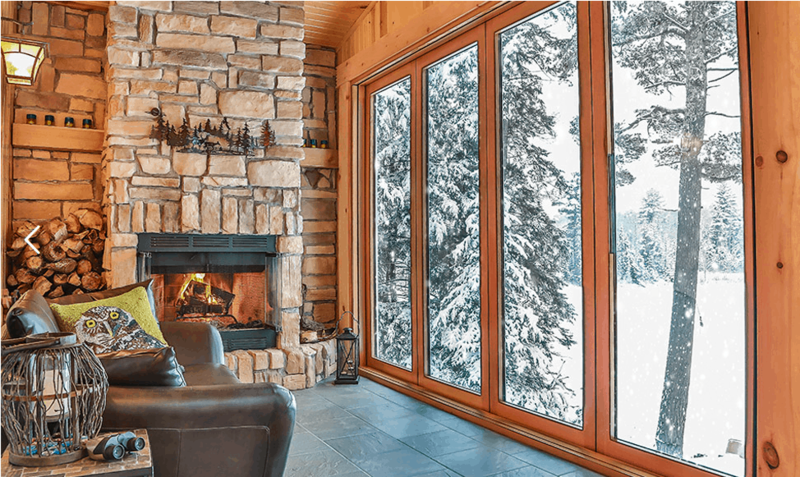 Muskoka Window & Door Centre is a premier installer of Centor products, so much so that we are the Eastern Canadian distributor for the manufacturer. We have a close relationship with the company, and our installers are specially trained in Centor integrated door installations. While standard windows and doors require some training and expertise to install, this is not a product your everyday handyman or contractor can possibly install. Trust us for the best Centor installation you can get in Canada, and any warranty service required after the fact. Contact us today to arrange a visit to our showroom, where you can see a fully operable Centor integrated door system in action.